Are you a business looking for a new way to reward your amazing staff this Christmas? 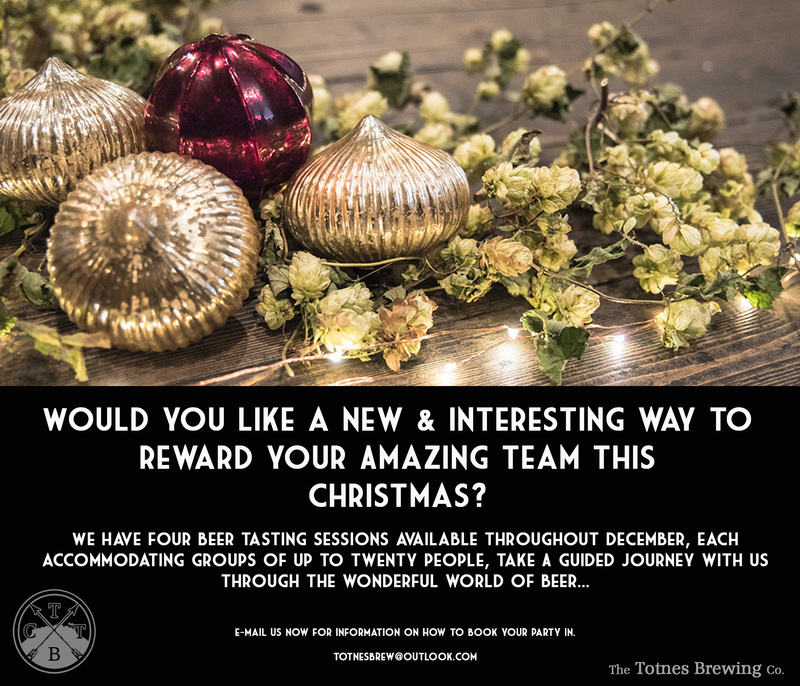 How about a guided Beer Tasting here at The Totnes Brewing Co. Let us take you on a wonderful journey through Beer. Our resident brewers will talk you through many different styles of beer, with tasty samples for you to try along the way! Drop us a line at totnesbrew@outlook.com for more information.